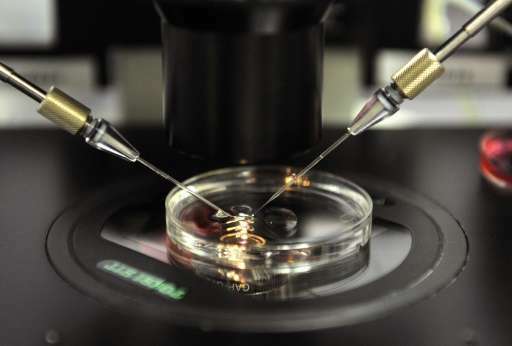 Scientists in Spain on Wednesday they had created human sperm from skin cells, a medical feat which could eventually lead to a treatment for infertility. "What to do when someone who wants to have a child lacks gametes (eggs or sperm)?" asked Carlos Simon, the scientific director of the Valencian Infertility Institute, Spain's first medical institution fully dedicated to assisted reproduction. The result of their research, which was carried out with Stanford University in the United States, was published Tuesday in Scientific Reports, the online journal of Nature. They were inspired by the work of Japan's Shinya Yamanaka and Britain's John Gordon who in 2012 shared a Nobel prize for the discovery that adult cells can be transformed back into embryo-like stem cells. Simon and his team managed to reprogramme mature skin cells by introducing a cocktail of genes needed to create gametes. 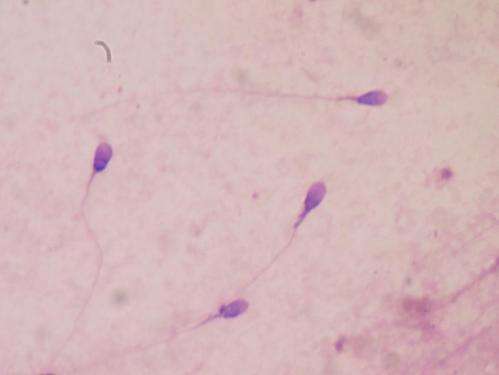 Within a month the skin cell was transformed to become a germ cell, which can develop into sperm or an egg, but it did not have the ability to fertilise, they found. "This is a sperm but it needs a further maturation phase to become a gamete. This is just the beginning," Simon said. "With the human species we must do much more testing because we are talking about the birth of child," Simon said. "We are talking about a long process," Simon said. Raises some fascinating possibilities. If I were still fertile, I could have sperm made from my skin and with a little IVF, conceive using only my genetics. Very interesting, although I think this would have pretty disastrous effects given what occurs in inbreeding. If a corp creates a clone is the corp the parent? Is the clone the property of the corp or is it a human citizen with full rights? This is tantamount to fruit flies in the jar discussing ways to improve reproduction. Please work on something else amigos. But now there is a a more profound basis for making that observation! @Tektrix: Even better, you can try this after becoming infertile. However, the risks for damage of the fetus increases with your age, so you will hit practical and perhaps ethical limits. Not sure why I always get so many 1 votes. I consider these to be serious questions. Are these questions offensive? dumb? At what stage of research and development would a clone change from being intellectual property into being a person that cannot be owned? Oh, yeah; we really need to raise vanity breeding to a new height. People, your precious whelp acquisitions are going to be murdered by someone's unwanted vermin at the rate people are producing unwanted children. That's the #1 factor driving crime. Don't breed, and if you really want the experience of parenting, adopt. Genes are over-rated anyway. This is the information age. You reproduce ideas, not physical individuals. Giving you an answer would be like building a bridge across the Styx.